Student chair and desk office set by Unknown at Momiji Studios. Hurry! Limited time offer. Offer valid only while supplies last. Start school with this beautiful and ergonomic desk and chair set. Large surface desk for your laptop or your papers. It can house CPU if needed. 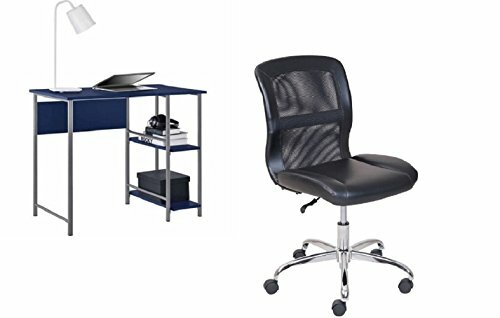 Start school with this beautiful and ergonomic desk and chair set. Large surface desk for your laptop or your papers. It can house CPU if needed. Comfortable chair with durable base - one touch height pneumatic adjustment.